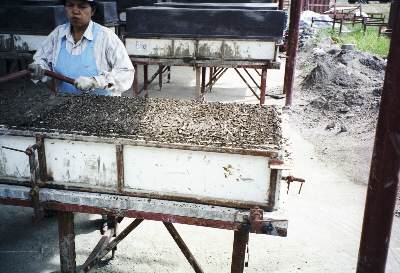 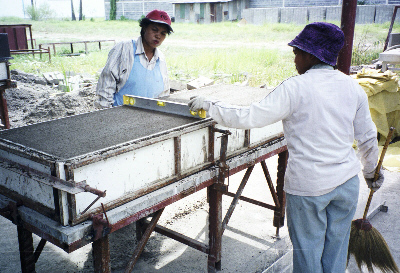 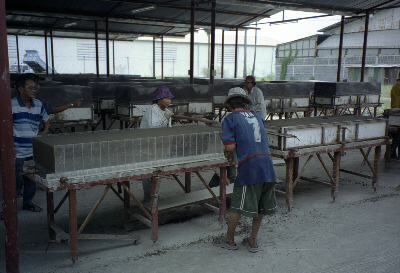 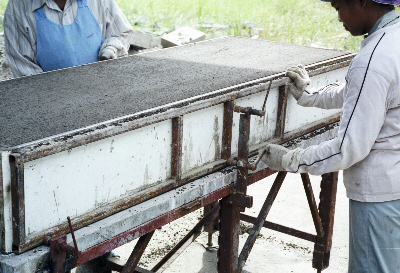 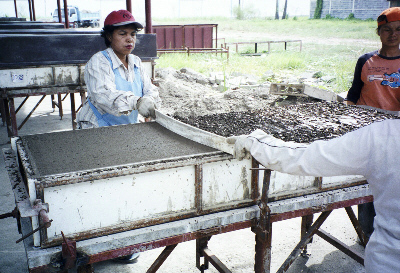 Pouring foamed concrete into large moulds, to make large blocks, that are cut into smaller blocks when the foamed concrete is solid but has not yet gained any strength. 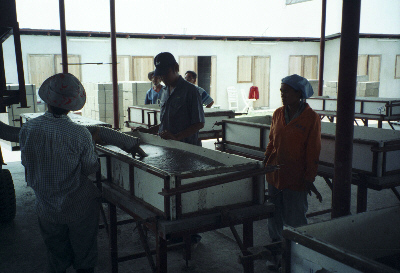 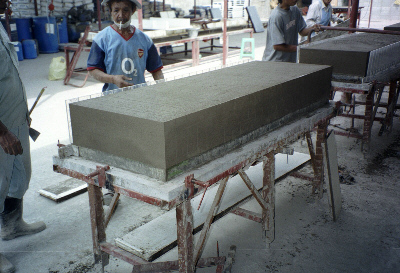 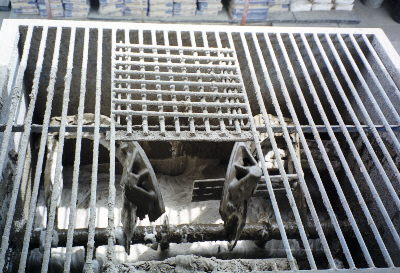 Pouring the foamed concrete into a large mould that is sub-divided (partitioned) into smaller block sized moulds, when the mould is removed the blocks do not need to be cut. 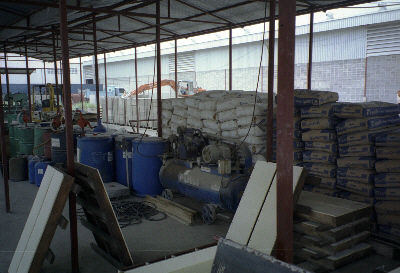 To create a factory you need land, buildings, machines and equipment (silos for cement and sand, fast mixers for making slurry, slow mixers for blending foam into slurry, casting moulds, cutting equipment, storage racks, handling equipment, etc. 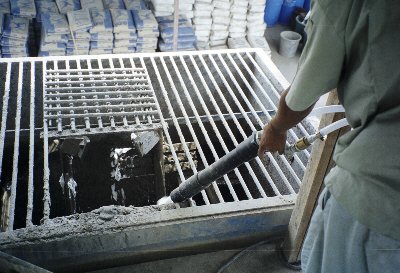 ), water, compressed air and electricity for powering equipment. 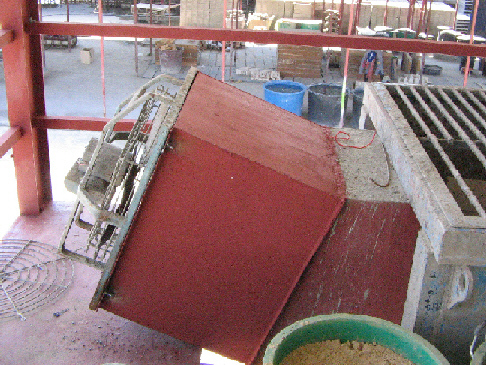 Some of this is common to all factories, no matter what they produce. 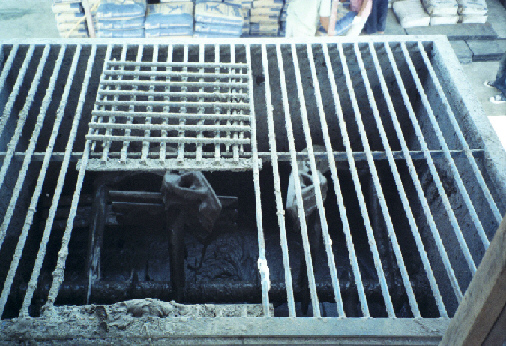 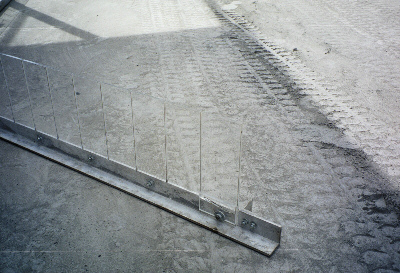 The rest is common to all factories which make concrete fabrications. 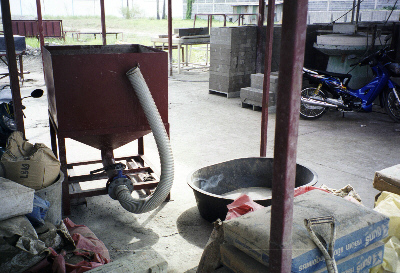 The special equipment needed for making foamed concrete is the foam generator - several foam generators would be needed for efficient factory operation. 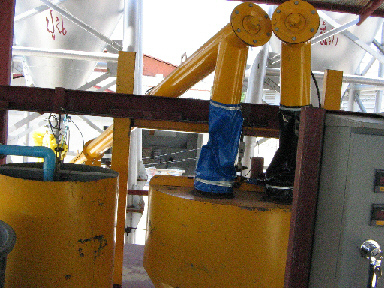 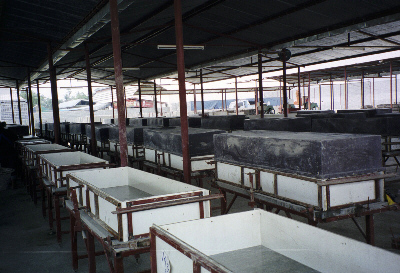 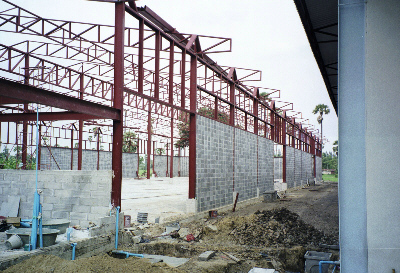 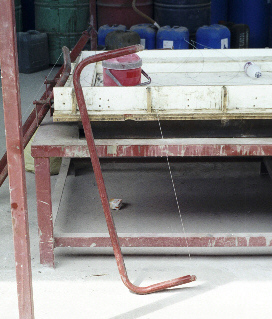 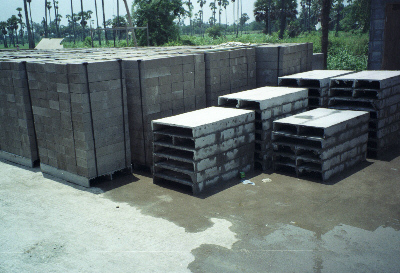 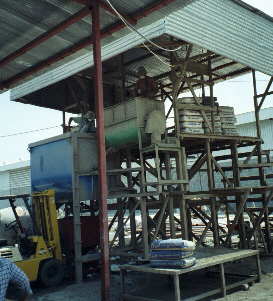 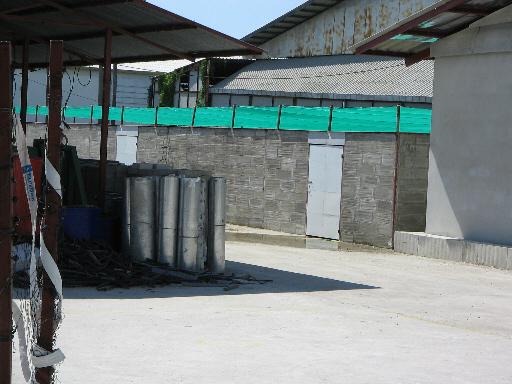 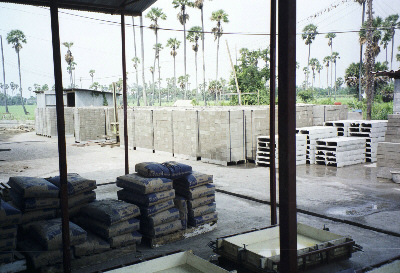 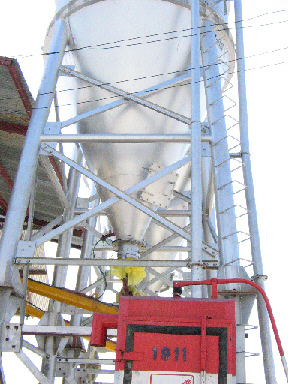 The photographs below show a semi-automatic factory with manual cutting of large foamed concrete blocks into small foamed concrete blocks. 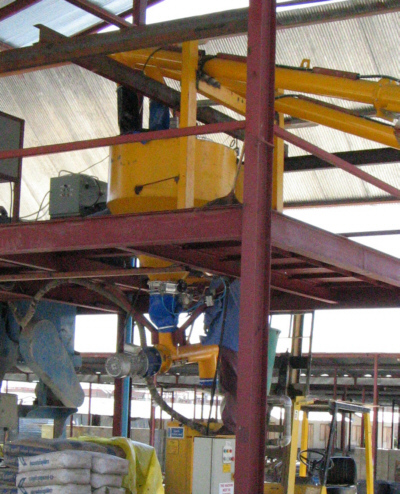 It is also possible to build a factory with a machine that cuts the CLC blocks automatically.